Pacific Coast Healthcare Staffing specializes in placing a diverse range of healthcare professionals for per-diem, travel, or temp to perm assignments throughout California and Arizona. Through our extensive qualification process we can assure you that all our healthcare professionals have been thoroughly screened, credentialed, and drug tested. 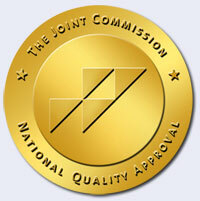 Every healthcare professional we refer to you is a Pacific Coast Healthcare Staffing employee. Basically we take care of everything from the screening and compliance process to payroll, taxes, and all the other details you're too busy to worry about. 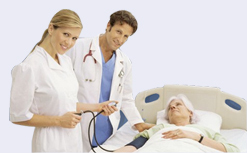 DEPENDABILITY is a defining quality of Pacific Coast Healthcare Staffing. Our large pool of qualified healthcare professionals enables us to fill a variety of staffing needs in a time efficient manor. Any of our clients can reach one of our staffing consultants 24 hours a day 7 days a week. We're committed to addressing any questions, concerns, or staffing needs you may have quickly and to your satisfaction. Through our 10 years of experience in the healthcare staffing industry we pride ourselves on delivering superior customer service, employing exceptional recruiters, and placing the highest quality healthcare professionals available in the industry. What differentiates us from everyone else is our commitment to upholding the highest standards in the industry which enable our employees to provide the highest level of patient care. To learn more about Pacific Coast Healthcare Staffing's services please call 619-291-8600 or you can reach us via e-mail at info@pchsd.com.